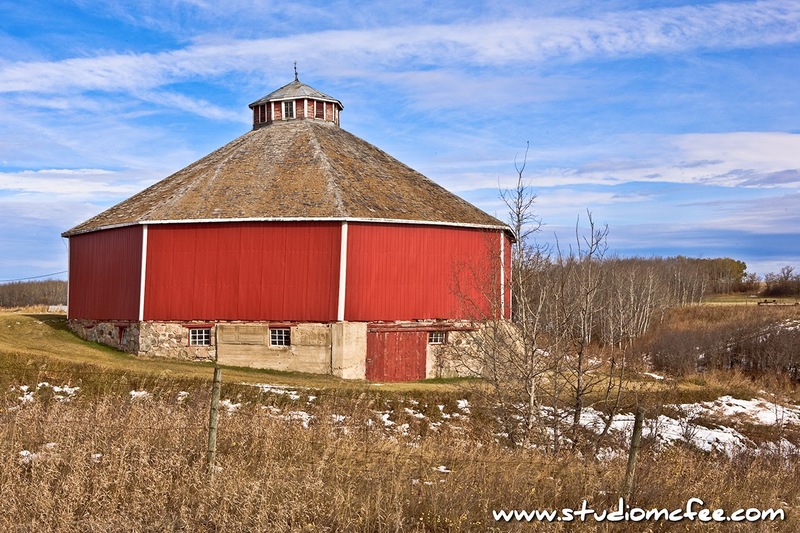 A red, octagonal, barn cries out to be photographed. It refuses to be ignored. This unusual structure was located near the town of Minnedosa, Manitoba. It has been several years since I made this photograph. The barn may not be standing at this point in time. I like this barn and its setting next to a wooded ravine. Who says the Prairies are flat?